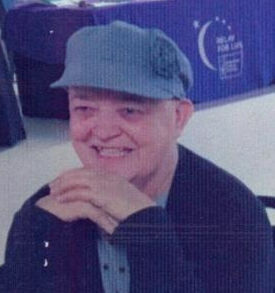 Judy Carolyn Wilke, 69, of Evansville Indiana, passed away peacefully at Good Samaritan Home in Evansville, Indiana. She was born March 2, 1950 in Beaver Dam, Kentucky to the late Horace and Burdie (Grigsby) Johnson. She was a wonderful homemaker, loving wife, mother, grandmother, and aunt. She loved Jesus and attended Fairlawn United Methodist Church, where she was also baptized. Judy is survived by her husband, Darrell Wilke of 39 years; daughters, Monical Wilke-Roth, Jamie Wilke; granddaughter, Hannah Marie Roth; siblings, Imogene Coates, Betty Woodcock and Benny (Rickey) Johnson; and many, many, wonderful and caring nieces and nephews; and her precious dog, Clark. She is preceded in death by her parents; brothers, Edward ”Bub” Johnson, Horace “Zeke” Johnson, sisters; Ruby Wright, Helen Swift, and Glenda “Kilroy” DeHart. A special thanks to Deaconess VNA Homecare & VNA Hospice, Anthony W. Stephens, M.D., staff at Oncology Hematology Associates and Good Samaritan Home.